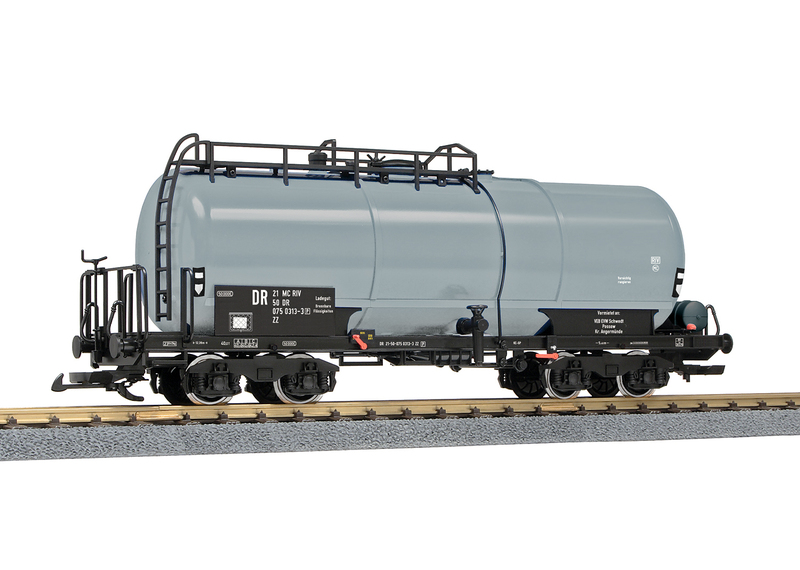 This is a model of a German State Railroad tank car as was also used in unit trains. The paint scheme and lettering are prototypical for Era IV. The tank can be filled and emptied. The car has metal wheel sets. Length over the buffers 48 cm / 18-7/8".